I'll be honest, I don't usually like Jimmy Olsen. He bugs me. Superman's supposed best friend, always getting in trouble, whining, and otherwise being lame. 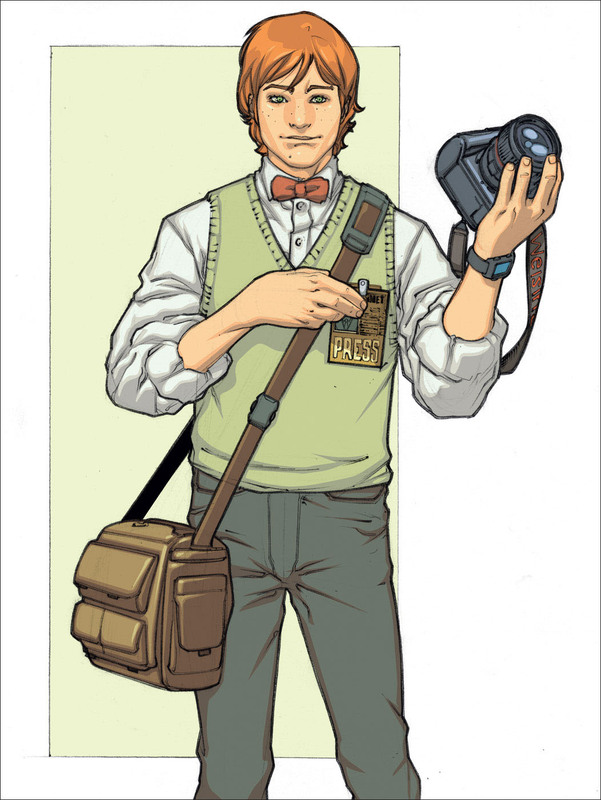 Grant Morrison used him pretty well in All Star Superman but that's about it for times I've liked him. Well, when Nick Spencer's Jimmy Olsen back-up started running in Action Comics I knew we had a winner. When the back-ups stopped I was sad, but now we have the whole story collected in one place, and boy is it great! Over the course of this story Jimmy encounters aliens, does a date auction, flies in outer-space, makes clever quips, and otherwise proves that when written well he doesn't actually stink as a character. Other fun characters pop up and this comic is just....well...fun! It made me smile in a way that comics just don't seem to always do with their focus on being dreary and grim and gritty. I don't mind dark comics, but there is something to be said for the occasional fun and light story, and boy does Nick Spencer pull it off here. 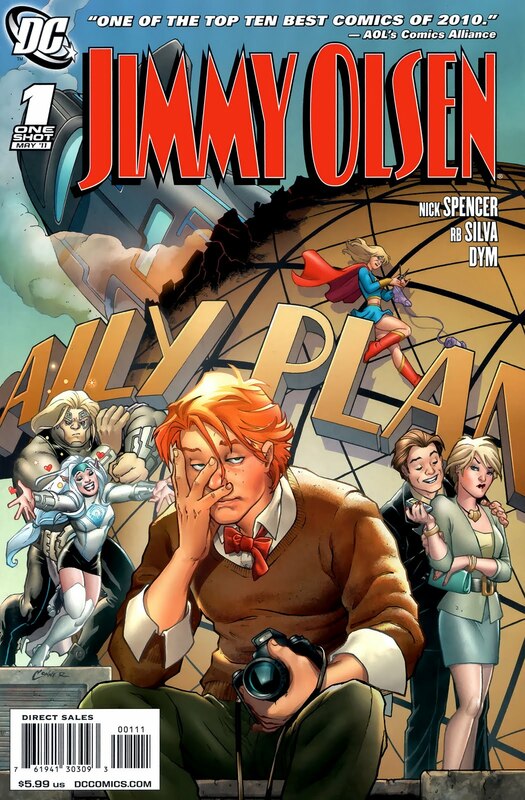 Jimmy Olsen is someone you can relate to in how he loses his girlfriend and sits around moping, but he is also fantastical in all of his crazy adventures this comic mentions both seriously and as a way to point out just how silly a life Olsen has led. Superman does pop up briefly at points, but never speaks, just appears--this is strictly Olsen's show, and that's just fine. The story is incredibly clever, the art is very nice, and this is otherwise just fun and enjoyable in a genuinely heartfelt way. This may be one of the best comics to come out this year. The only sad thing is that with Nick Spencer now being Marvel exclusive (besides the deal allowing him to keep working on T.H.U.N.D.E.R. 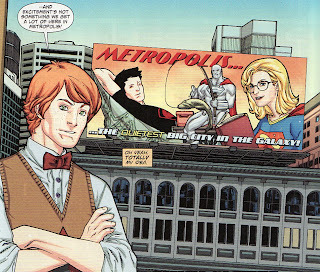 Agents for DC Comics and Image stuff) the odds of us seeing another Jimmy Olsen tale anytime soon seem pretty slim. Oh well, just have to cherish what we've got.